IT Tools for the Business when the Business is IT – Selecting and Implementing ITSM Tools. (TSO, Norwich). Highlights from the book include a discussion of the architectural foundations of selecting tools, a conceptual data model for the high level objects managed by ITSM tools and complete process flows for the entire selection and implementation activities. The book will be accompanied by a set of downloadable files, available as a separate product. Order the book here. 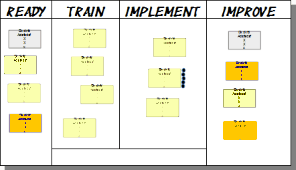 “How Does Kanban Support Service Management Agility?” Kanbanize guest post. ″In 2017, will you be a service management leader or a laggard?,” ITWNET: The Global IT Professionals Community. “Guideline for the harmonized implementation of the requirements of ISO/IEC 20000-1:2005 by accredited certification bodies,” Swiss Accreditation Service SAS, State Secretariat for Economic Affairs SECO, Federal Department of Economic Affairs, Swiss Confederation, (co-author). “Using Customer Satisfaction Metrics to Drive Service Improvement: A Review of The Ultimate Question 2.0.” At Your Service, Vol. 1 No. 6, pp. 33-35. “What is New in the ITIL® 2011 Glossary Update?”. At Your Service, Vol. 1 No. 5, pp. 16-25. Co-translator of French translation of “ITIL® 2011 Glossary”, TSO in conjunction with the Cabinet Office and APMG. 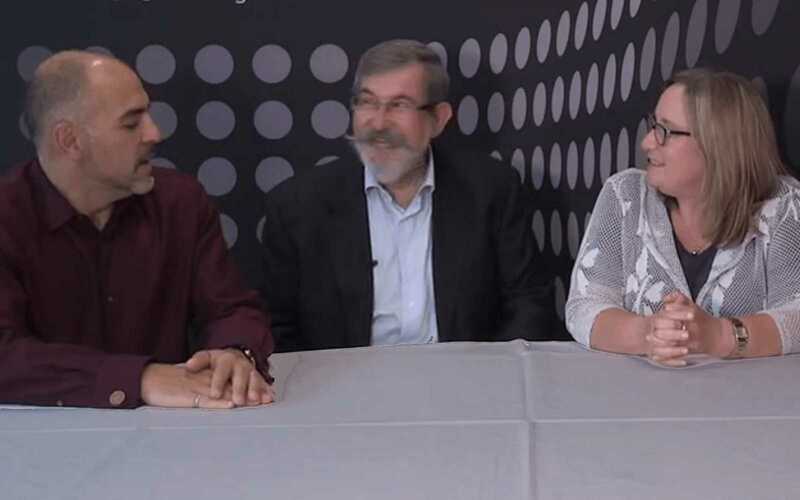 Robert Falkowitz is interviewed by Krikor Manoukian for Netweek Hellas on the subject of his Continual Improvement Maturity Model. September 2011 IT Tools for the Business when the Business is IT – Selecting and Implementing ITSM Tools. (TSO, Norwich). Highlights from the book include a discussion of the architectural foundations of selecting tools, a conceptual data model for the high level objects managed by ITSM tools and complete process flows for the entire selection and implementation activities. The book will be accompanied by a set of downloadable files, available as a separate product. Order the book here. January 2017″In 2017, will you be a service management leader or a laggard?,” ITWNET: The Global IT Professionals Community. February 2018 “How Does Kanban Support Service Management Agility?” Kanbanize guest post. February 2013 “Guideline for the harmonized implementation of the requirements of ISO/IEC 20000-1:2005 by accredited certification bodies,” Swiss Accreditation Service SAS, State Secretariat for Economic Affairs SECO, Federal Department of Economic Affairs, Swiss Confederation, (co-author). November 2011 “Using Customer Satisfaction Metrics to Drive Service Improvement: A Review of The Ultimate Question 2.0.” At Your Service, Vol. 1 No. 6, pp. 33-35. September 2011 “What is New in the ITIL® 2011 Glossary Update?”. At Your Service, Vol. 1 No. 5, pp. 16-25. August 2011 co-translator of French translation of “ITIL® 2011 Glossary”, TSO in conjunction with the Cabinet Office and APMG.